I took this shot in the desert of Glendale, Arizona in December. The green shrubs framed the saguaro perfectly in the landscape and made for the ideal image. 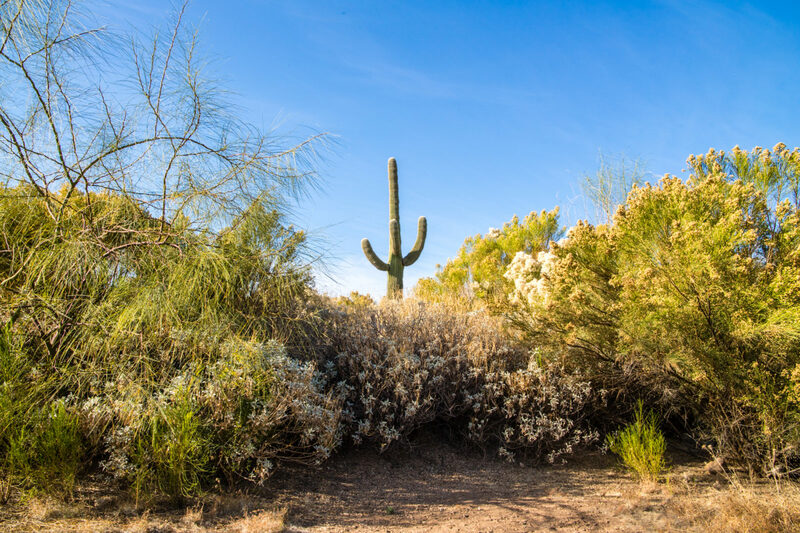 Although it doesn't get very cold in the winter in Arizona, the landscape does become more green with more moisture in the air than any other season.